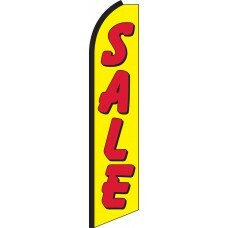 Holding a sale can increase sales and profitability by bringing in more customers who are eager to find a bargain. Of course, these wonderful benefits can only be realized if prospective customers are aware that the sale is taking place. 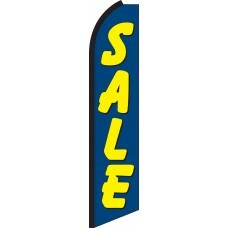 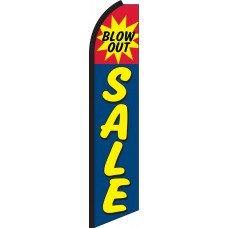 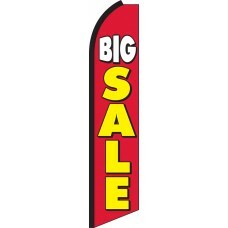 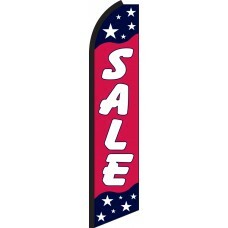 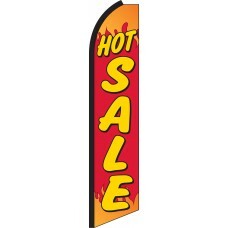 Our vibrant Sale Swooper Feather Flags are a great way to communicate this message with prospective customers. 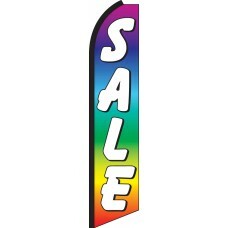 These flags feature vibrant, colorful, eye-catching designs, which will promote your sale to passerby's and help to increase foot traffic in your business. 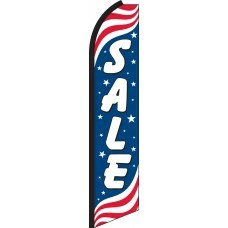 Swooper flags flutter in the breeze and grab the attention of all who see them with their vibrant colors and bold messages. We sell thousands of Sale Feather Flags each year to companies across a vast array of industries. 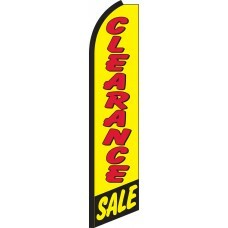 Many customers return time and time again, because they simply work. 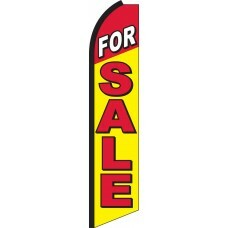 Today's marketplace is extremely competitive and customers are always looking for value. Promoting a sale will help to draw in customers and once they are at your business, they may buy other products, which are not on discount. 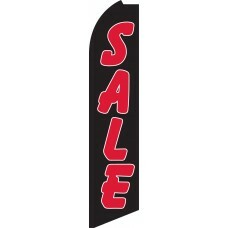 Put simply, our "Sale" Swooper Feather Flags are a cost-effective and visually appealing tool for your business to promote a sale. They can be used individually, but we recommend forming a display with several flags to attract the most attention and achieve the best results.